Learn About News and Events! View Photos in Our Gallery! Proudly Serving Palm Beach County Since 1923! 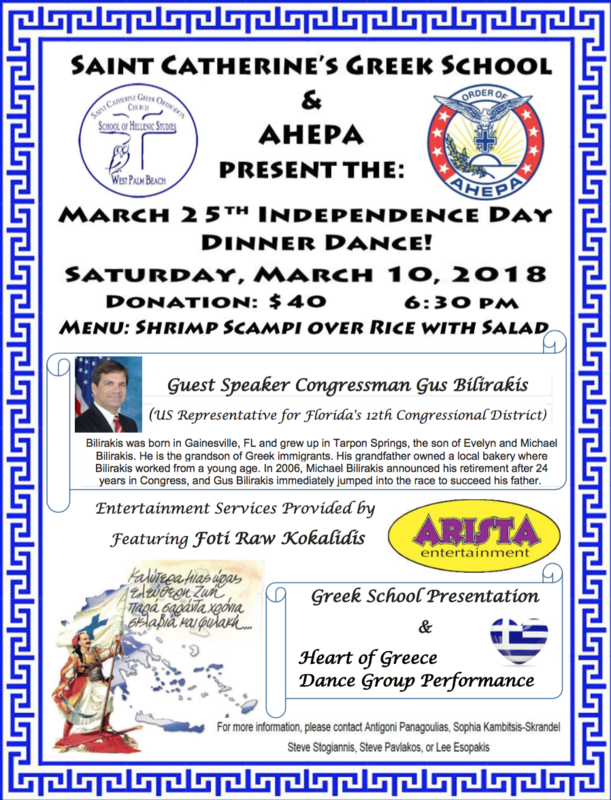 Join Us for the 2018 Greek Independence Day Celebration with Florida Congressman Gus Billirakis!